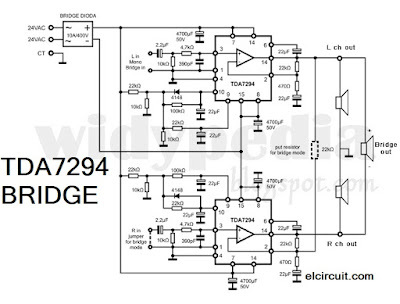 IC TDA7294 is quite famous in the world of home audio. 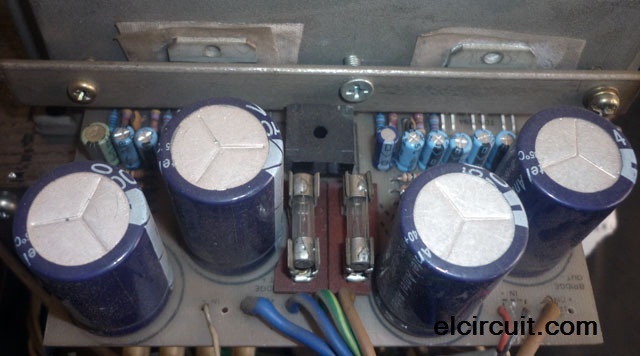 IC petite pretty devastating magnitude output ST's Electronic Power 70-100W certainly capable of generating the power supply is sufficient. 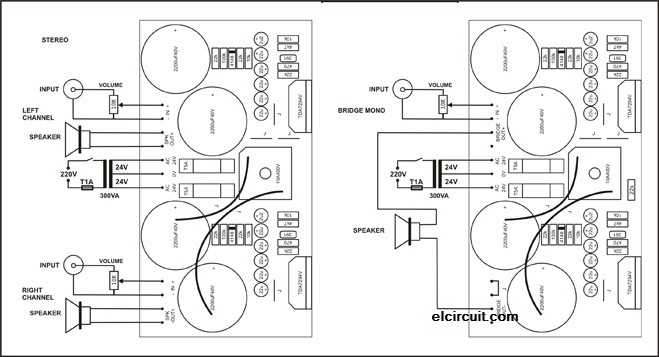 PCBnya itself can be designed to bridge mono or stereo, and also use the power supply on board, quite simple and practical. I still wear components are standard, there is not the audio grade. 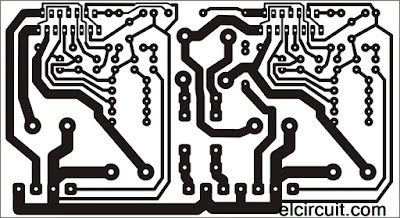 Just be sure there are a few resistors metal films in the signal path, more disposable carbon resistors, and ordinary elco wrote. Power Supply For its, wearing transformer 2x24V, 5A. 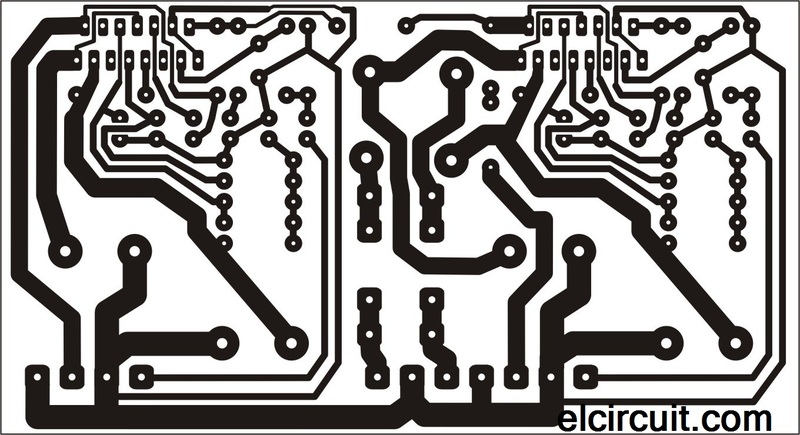 and Elco 4 x 4.700uF / 50V in PCB Power. For I think voice is quite good. Mid and high pretty dominant, but high tones can not "cling" voice. Passable low of stomping. 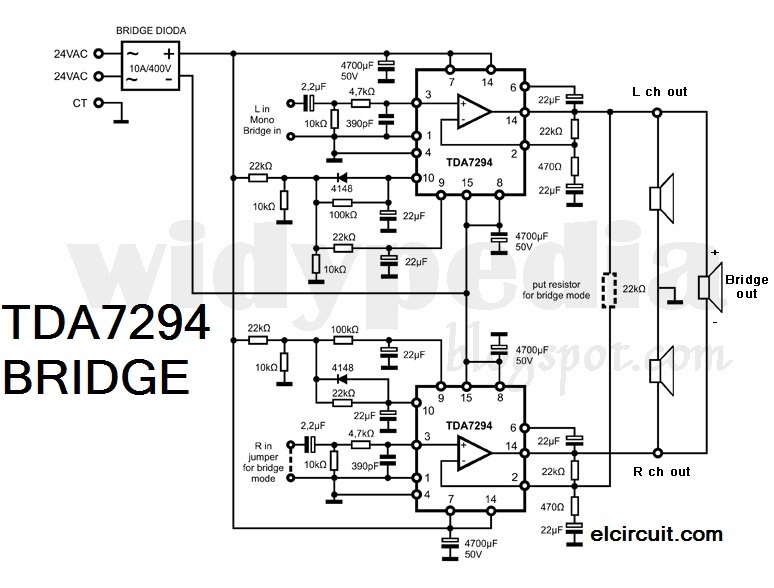 For Bridge mode power very pronounced but still not change the sound character. Overall quite okay for listen to music at home, especially if you use an audio grade components that could possibly be more detailed sound again. Ever tried to use the input capacitor C yellow audiophiller sound has changed more detail in its high.